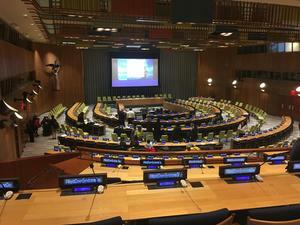 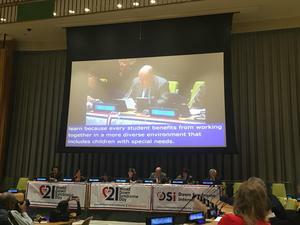 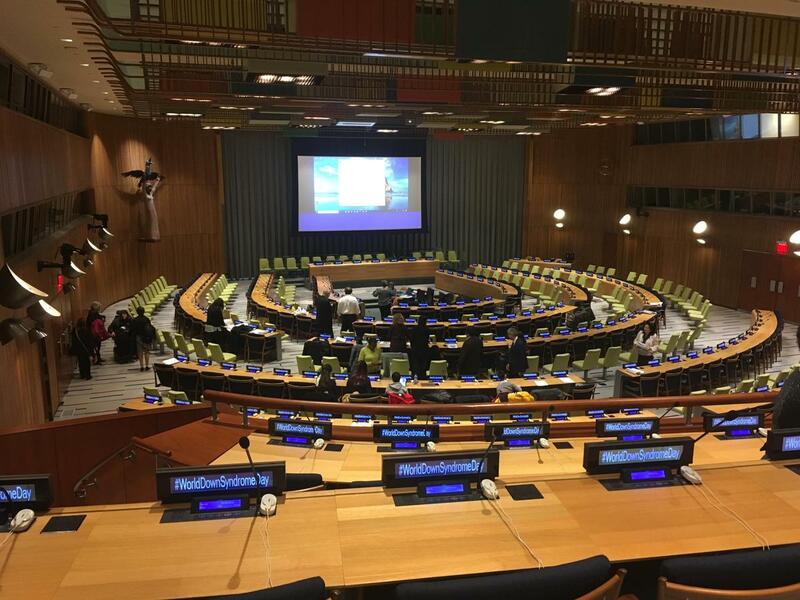 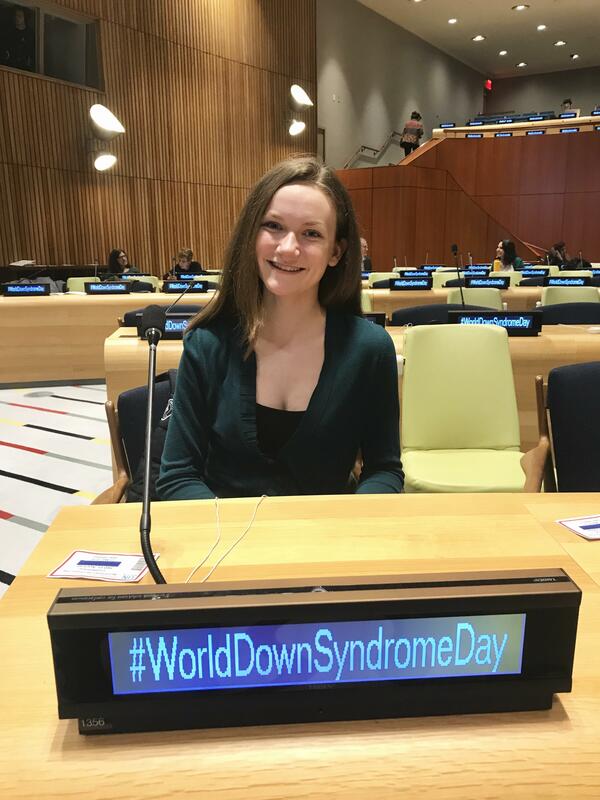 On March 21, 2019, Clare Donnelly’19 visited the United Nations Headquarters in New York City as a delegate at the World Down Syndrome Day Conference, run by Down Syndrome International (DSI), with a focus on Inclusive Education. 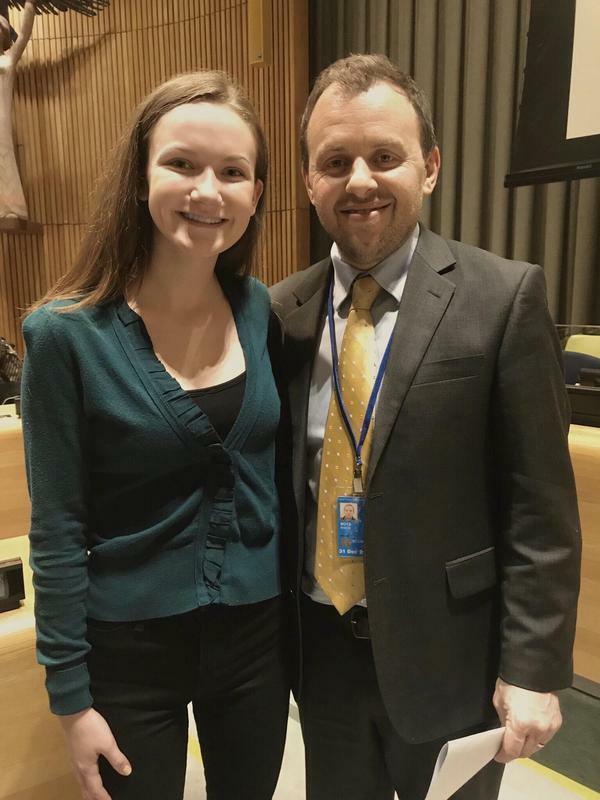 “I was able to meet and take a photo with Andrew Boys, the Executive Director of DSI, an organization based out of the United Kingdom,” Clare said. 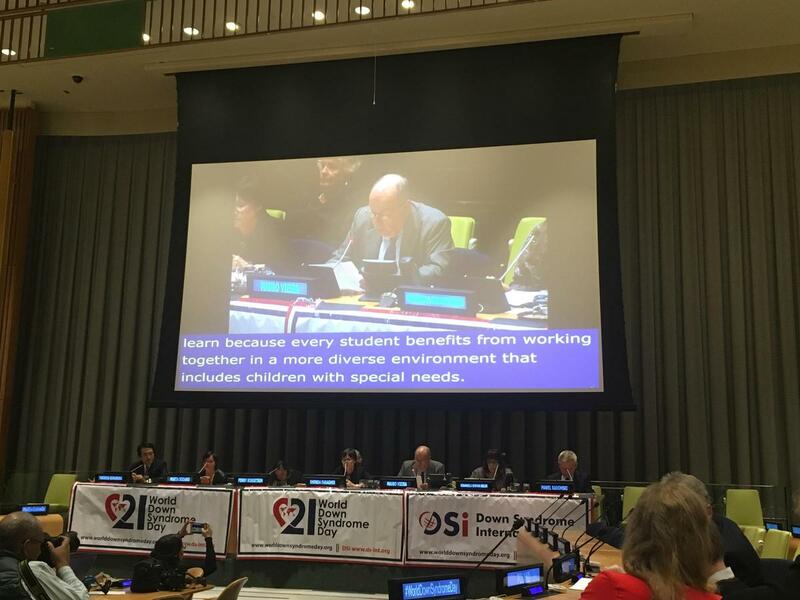 “Sue Swenson, President of Inclusion International and past Deputy Assistant Secretary of the U.S. Department of Education under the Obama Administration, spoke about the history and progress of special education in the United States.